Amy at Copper Diem had a great idea. She would design some Etsy Treasures for anyone who wanted to play with her and we had to build some jewelry around the Treasure she sent us. 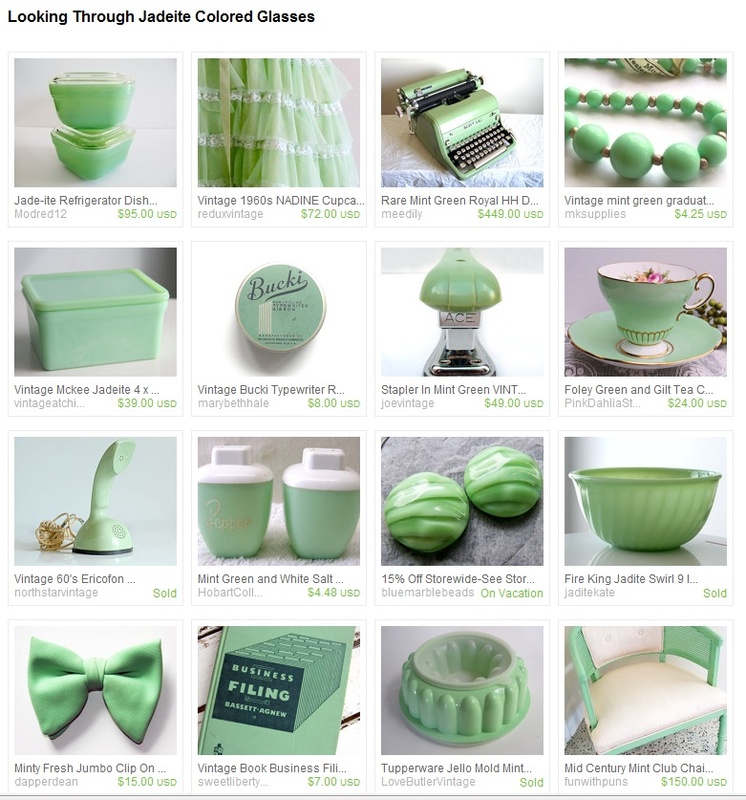 Jadeite green. It's a really luscious color but one completely missing in my stash. 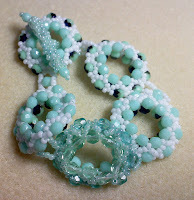 So I may have had to buy 3 strands of little faceted beads for this project. (My bad, I know, but honest, only 3 little strands.) I liked this color a lot and I liked the feel of this color w/ white. Just plain old white. Look at that chair. Or the salt & pepper shakers. So retro and cool! I really thought Lori Anderson should get the typewriter so her pink one would have a partner but she passed! It is a bit pricey! I must give a shout out to Kristen at My Bead Journey for convincing me that I could actually make the Sparkly Wheels that she raved about in a recent blog post. She was right. They were so fun I could have made dozens. 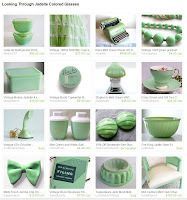 And the colors I found match my Etsy Treasury so perfectly. I will probably never wear this bracelet because I don't wear much green (n one actually) so it's going in the little container with a lot of other things I've made because I like the process of making things as much as (or more than) the finished product. I think it's time I made some things I actually wear, don't you? Here are the other people who are playing along: Go visit them, too! Wow Sally you hit the nail right on the head with the color match. I love the bracelet. 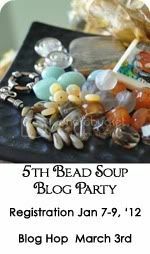 Sometime you got to just by more beads, at least you used them in this piece. Love the bracelet! you totally nailed it! Great job! And I know just what you mean about making something you'll wear! I tend to get distracted by making a pretty creation and forget I need some things to wear! The colors match perfectly and all I can say is WOW!!! Those wheels looks quite time consuming and difficult to make. As for the colours, they are lovely. Please don't put away. Put it in some place where you can see it and you will find the perfect outfit to go with it. 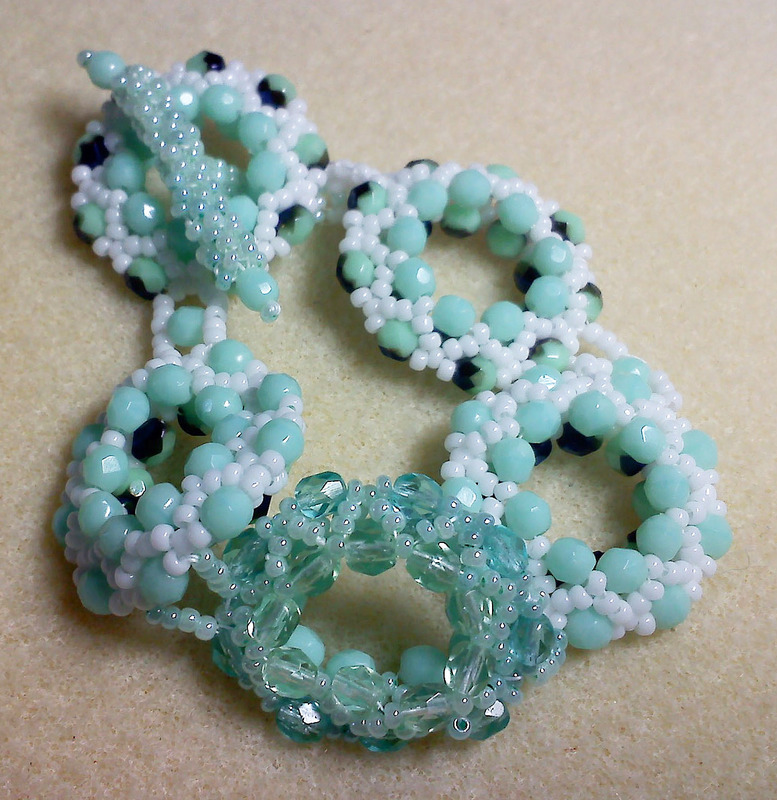 A really lovely bracelet, I have huge respect for any one able to work with seed beads, its some thing I have tried a couple of times but with no success! oh no, you need to wear it. Wear it with white. Or black. or blue. It is really lovely and such a cool match with the treasury. Wow, your bracelet is fabulous, you did an amazing job! Well, since you don't have any green, I guess you need to go shopping, huh? Cause that bracelet is way too pretty to just sit in the drawer. You did a great job! I already told you how much I love this, but I shall tell you again! The colors are dead on, good job girlfriend! Just popping in to say "You had better wear that gorgeous creation"!!!!!!!!!! Your bracelet is lovely - you definitely need to wear it, you'll get lots of compliments! !